Registrations for the Senior Winter competition have opened. 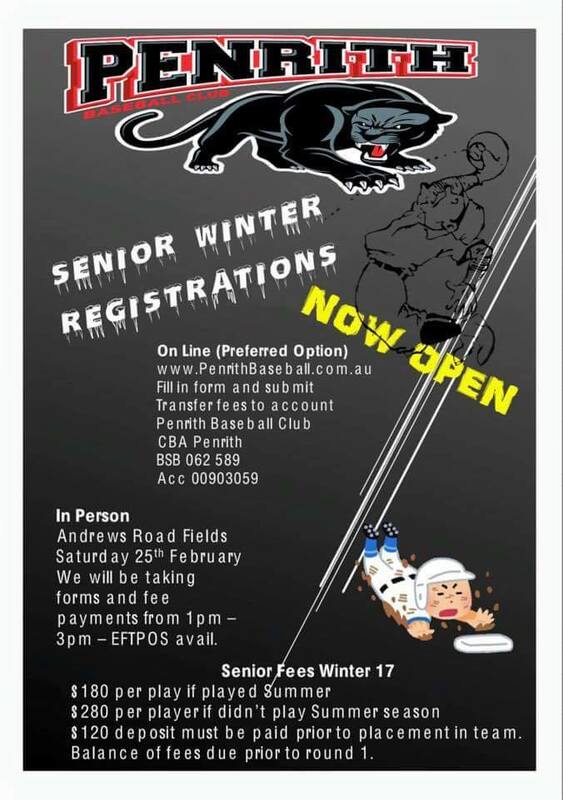 Please submit the online form from http://www.penrithbaseball.com.au/registration-form or come down to the canteen on the 25th February to register in person. $120 deposit required for placement into a team, remaining to be paid before Round 1. No Replies to "Senior Winter Registrations"